service agent for the full range of RFD safety products. inflatable PFDs for commercial and recreational use. 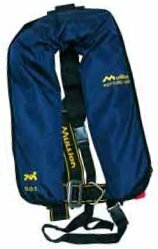 Click here to view our range of RFD inflatable lifejackets and accessories.